Proceeds from this event will support the operation of our community health center as well as other programs. 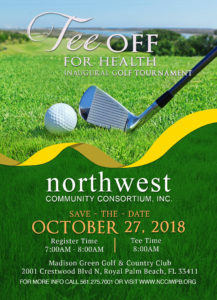 NCCI is a 501c (3) not-for-profit that provides a broad array of programs and services to revitalize the Northwest neighborhood in the City of West Palm Beach, Florida. NCCI and its membership aspire to improve the quality of life for all residents by providing programs and services that are transformational in nature. 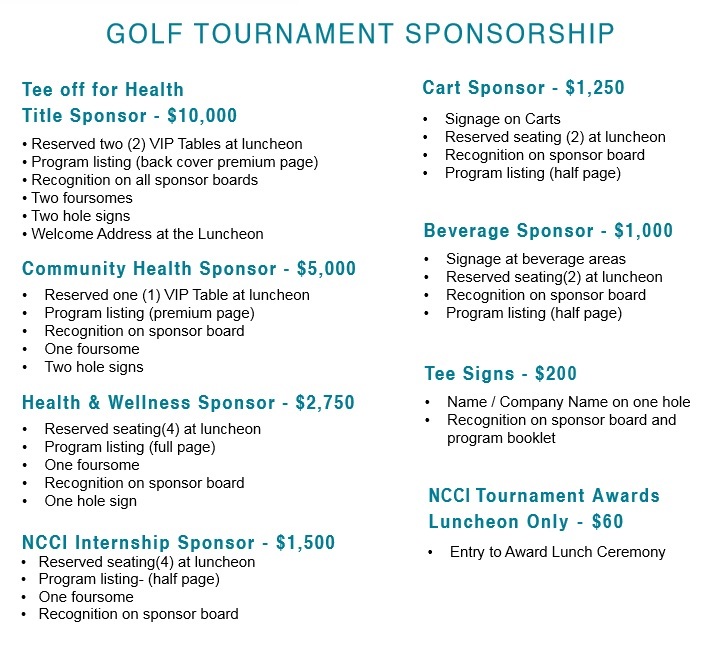 Golf Individual ($150), Foursomes ($600), Ads and Sponsorships can be purchased online below. Transaction fee will apply.